Gold always has a special place in every civilization and religion across the world. Gold is the symbol of glory, of the divines. And also gold has always been able to seduce people. That’s exactly what Paco Rabanne One Million tries to bring to the consumers. Paco Rabanne One Million is a luxurious fragrance with gold as the central theme. Paco Rabanne One Million is talking about power, about wealth, and about luxury. Just like gold, it is elegant and attractive, divine yet sensual. It is also famous for the outstanding projection and sillage, suitable for romantic events and night wear. Paco Rabanne One Million has been inspired by the company’s metallic fashion. It was created by three famous perfumers: Olivier Pescheux, Michel Girard, and Christophe Raynaud, and was released for the first time in 2008. In addition to the standard edition, there is also a special edition, available only for the privileged buyers. The special edition features a golden body and a diamond crown. The outer case that holds the golden lever was designed by Noe Duchaufour-Lawrence. Seeing all these luxuries, we can conclude that Paco Rabanne One Million is certainly a perfume that has been specially designed for the men with power and wealth. The box is already colored in a golden hue. The names of the product and brand are written in bold brown characters. Even from the outside, we can already feel the luxurious aura. Inside the box is a shiny and glossy golden bottle. The names of the product and brand are carved on the bottle. It almost appears like a golden bar. You can greatly enhance the decoration of your drawer by showcasing this bottle. The scent of Paco Rabanne One Million is unyielding, dominant. It is elegant yet highly attractive and sensual. It opens with the fresh fruity top notes of grapefruit, mint, and blood mandarin orange. However, the opening does not actually last long. It quickly releases the warm heart notes of cinnamon, rose, and some spicy notes. But the strongest part of the scent is actually the base, which delivers leather and amber notes that are reinforced by sandalwood and patchouli. The combination of cinnamon and leather is very enchanting. 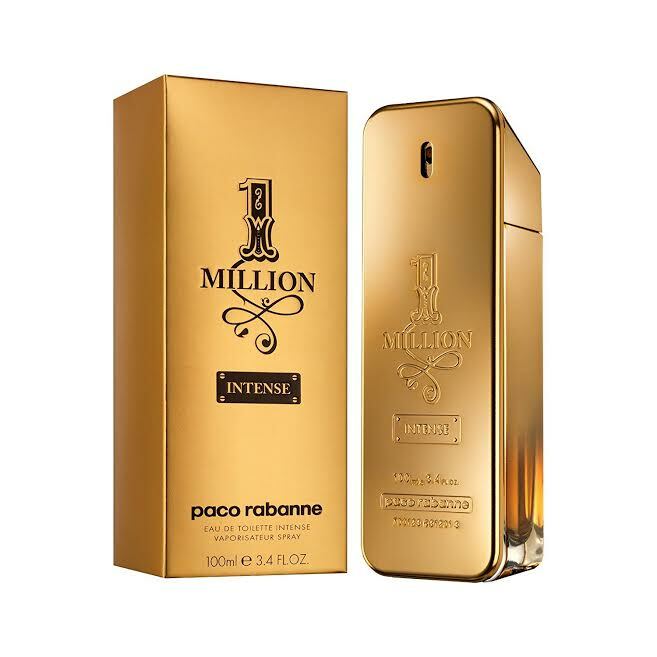 Nevertheless, you should always remember that Paco Rabanne One Million has an enormous sillage. So, you should not over-apply it, else you may smell too intoxicating and nauseating. But it has a very long longevity. Check the best price of Paco Rabanne One Million here!